Mordian 7th Regiment: Blackstone Fortress/Necromunda - The Ambull Arrives! Blackstone Fortress/Necromunda - The Ambull Arrives! Just a quick hit this morning - Swung by the local GW shop yesterday for some odds and ends and had to pick up the new Ambull model for Blackstone Fortress! 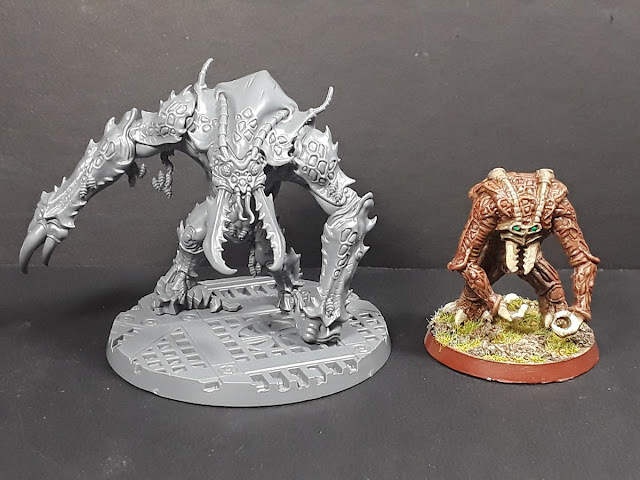 I happen to have one of the old original Ambulls (it's one of the few models that I have kept from 30 years of hobbying) and was really jazzed to see them give it an updated model! I guess 30 years underground means the Ambull got HUGE! The intention is to use him in Necromunda, as part of the upcoming campaign - With the knowledge that the Am-Bot should be released soon, I have a vision of doing a little pit fight scenario with beast vs. machine! The original model came out in 1988 and cost about six bucks at the time. The new one was sixty bucks, but for a hit of nostalgia like this, I gladly paid it. To be fair, the new kit comes with a few other gribbly critters and a whole mess of add-on cards and adventure potential for Blackstone Fortress, quite looking forward to giving it a try in that game as well! It's a nice model and as soon as the Ambot is released I'll be ordering both and breaking my New Year resolution of not to buy anything else until I have finished four gangs. Looking forward to seeing how you paint it up. Hah! Aye, planning on ginning up some homebrew rules for it once the mecha-ambull is released and we see a statline. Looks like it's gonna be a hoot to paint up! Speak of the Devil....The Ambot is on pre-release this week! 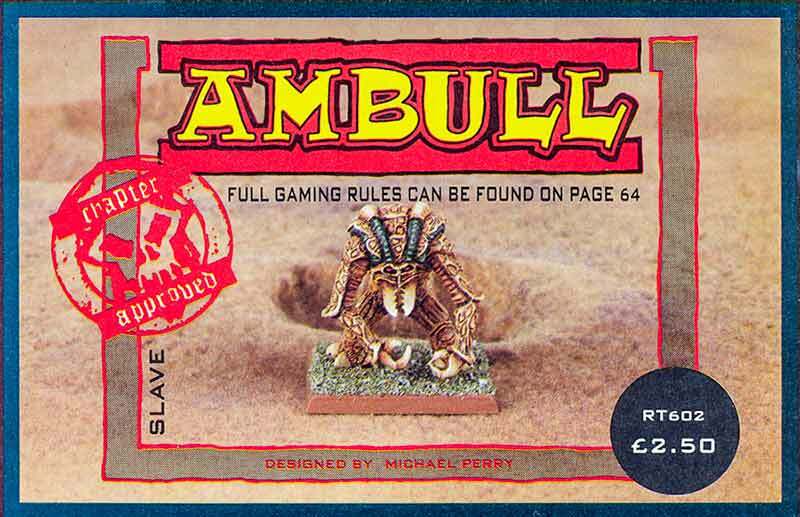 Necromunda already has rules for the Ambot in the Gangs of the Underhive book. Sweet! Looks like they're going to be in plastic as well, which comes as quite a pleasant surprise! And they just put up Rules for an Ambull on WH Community (https://www.warhammer-community.com/2019/02/25/25th-feb-necromunda-ambull-vs-ambot-deathmatchfw-homepage-post-1gw-homepage-post-3/). Looks pretty brutal. Aha! That's perfect, just what I had in mind! Wow. He got seriously swole over the last couple of decades. Somebody should check that big boi for steroids*. *Somebody else. The last three biologis teams that attempted it were variously eaten, crushed, and ripped to shreds. Aw Jeez Rick! I wasn't going to buy it but for two pound fifty I'd still have change for the bus fare home! Looks like you have the makings of a 'momma bear protecting baby bear' type of scenario!